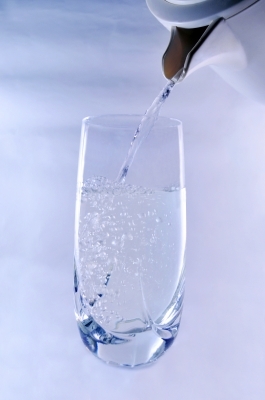 How Much Do You Like Drinking Clean Water? I have read that giving up meat just one day a week carries the same beneficial effect on the environment as not driving your car for one month. One month! Such an easy way to decrease one’s carbon footprint on our planet! When I made the conscious decision to give up meat, I had no idea the detrimental impact raising livestock had on the environment. I stopped eating meat because I wanted to partake in a more compassionate diet, to assure that no living-being had to die just so I could eat. Statistics are showing that the Governor may be on to something. How hard is it to give up meat for one day? I don’t know, how much do you like drinking clean water? Please Note: Raising animals for dairy consumption also uses a lot of natural resources. I am not a vegan, but am gradually reducing my dairy intake. I haven’t bought cow’s milk in over three years (almond milk rocks!). The point of this blog is to show that it doesn’t take much to make a big difference if everyone does a little something. This blog is NOT meant to put anyone down for what they eat. But, if you can make a little change, please do it, because we are all in this together. We all need a healthy Earth. Except for the Aliens. You have your own planet. Stay there. I didn’t know you were a Cheesehead! Lol. Giving up meat is so easy compared to giving up meat. At least I got one down. But I wish more people knew how bad cow’s milk is for us and that we don’t need it. Their milk is for their own babies! 🙂 Thanks for reading my blog. Have a good one.